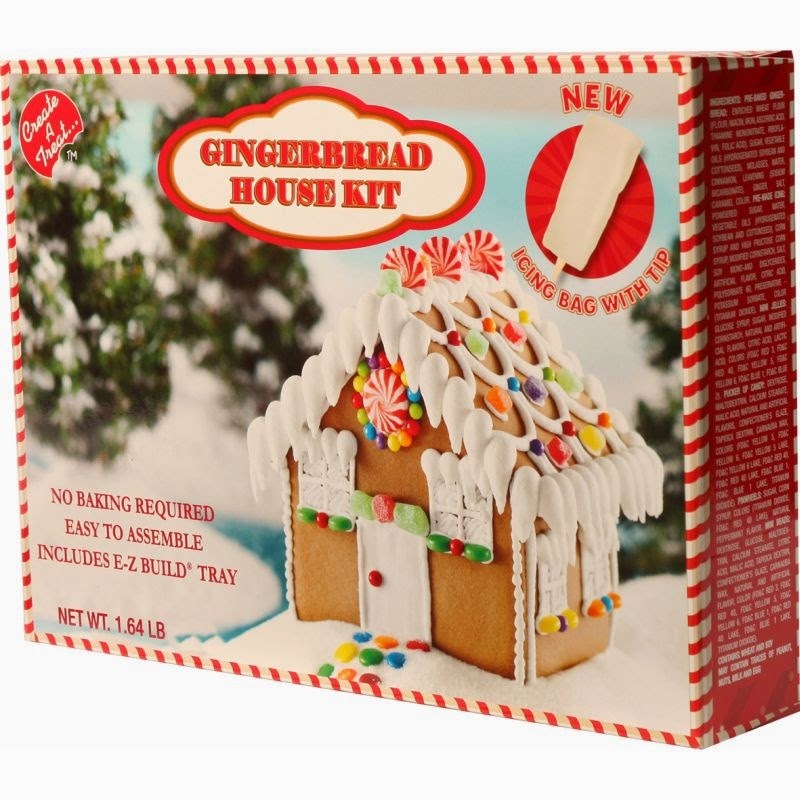 Today is going to be a super fun activity post and I'm sharing a DIY Gingerbread House kit* I was kindly sent by Hobbycraft to attempt to build and show you guys! Now this is the box and what we are working towards, I'm unsure how close I will be able to get to the design as I'm not quite a decorating whizz but I'm 100% up for giving this a go. I've typed this just before I go outside to start making it so let's see what happens when I get back! Ok I'm back. I'll now give you the run down of how the events unfolded. First of all I opened the box, got out all the bits and pieces with high hopes for matching the design on the front. It looks very simple, what could possibly go wrong?! and voila, now on to decorating! and it really started to look quite cute! and in trying to fix it, erm, well here is what happened! Obviously my failure reflects more of my lack of skill than the actual product and I had a really fun time overall putting everything together and decorating all the sweets (not to mention the joy of munching yummy gingerbread and icing afterwards!). I would totally recommend this as a fun activity with kids before Christmas, it's only a tenner and will provide a good hour or so of entertainment and potentially be a nice table decoration. Have you guys tried any of these kits before, what did you think? Let me know in the comments below. You can also check out the Hobbycraft Gift section on this link: http://www.hobbycraft.co.uk/gifts. Looks adorable and fun to build! There's so festive aren't they? What a fun post! I have to admit the last picture made me chuckle! These gingerbread houses seem to be very popular this year, great post! !